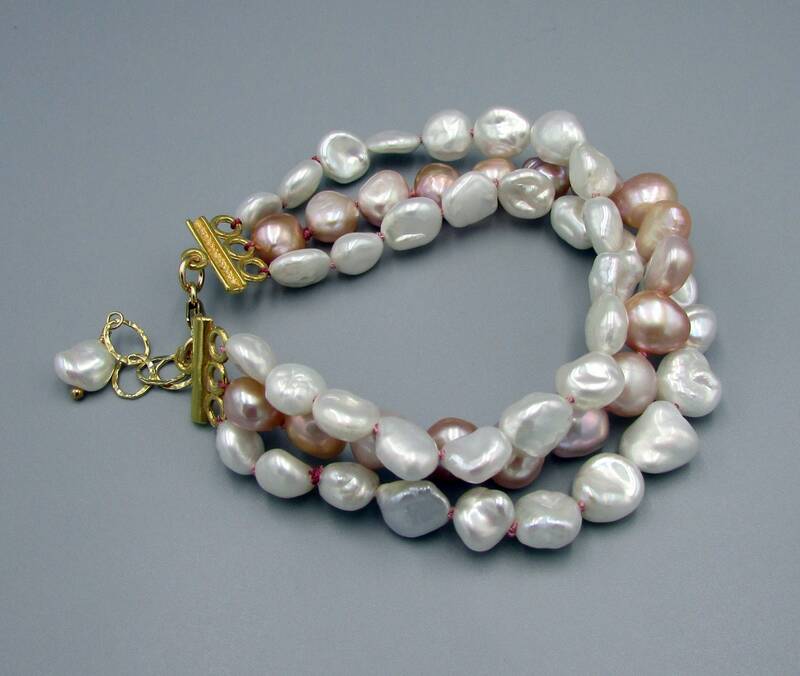 This stunning pearl bracelet is hand knotted on double pure silk thread and knotted between each pearl for beauty and durability. 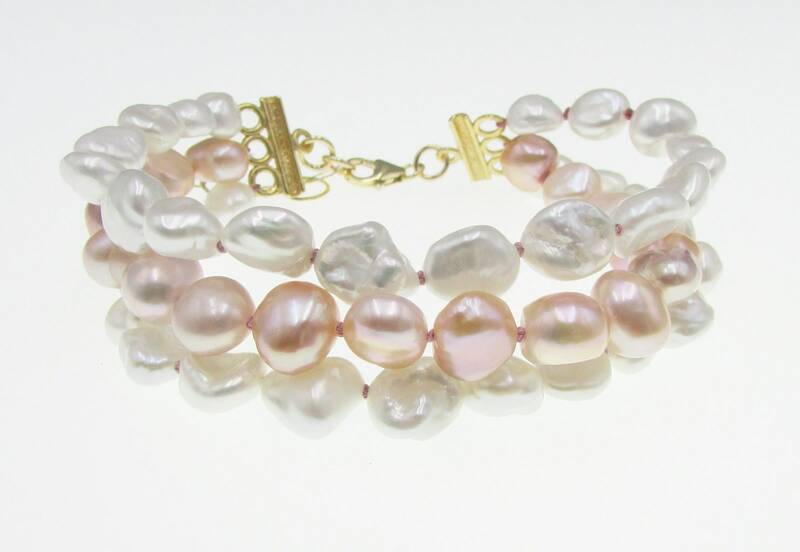 The nugget pearls are about 6mm to 8mm in size with the dusty rose pink pearls in the center. 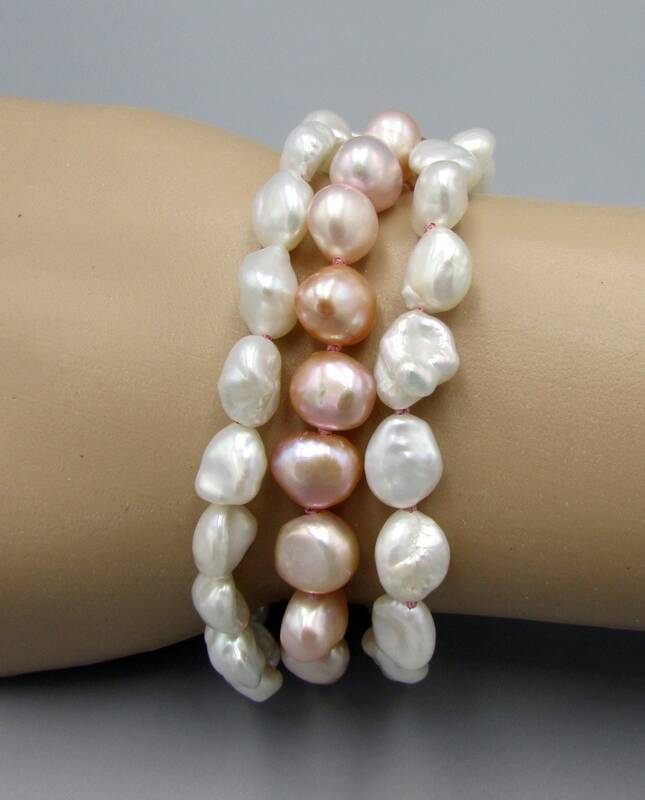 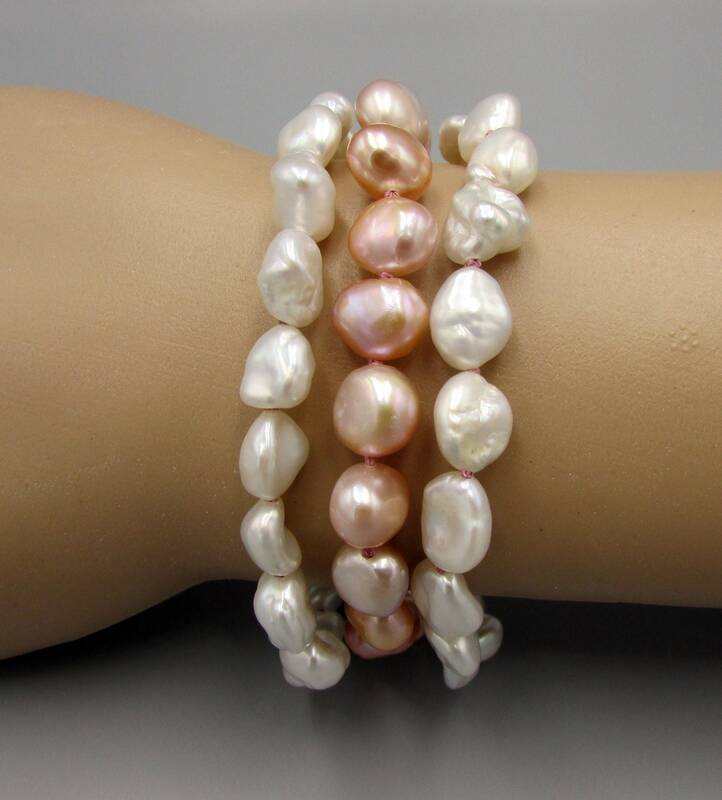 These pearls have a beautiful shine and luster and are high quality. 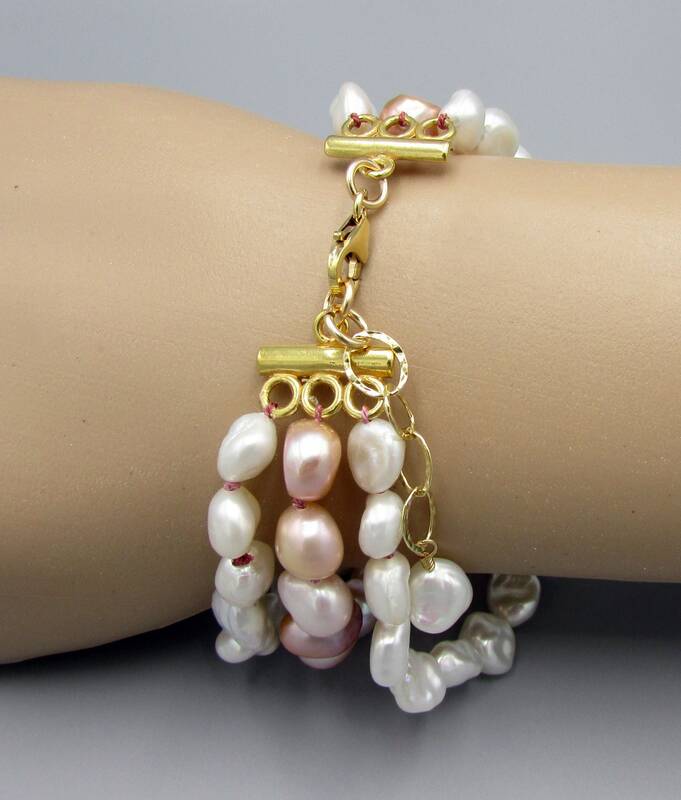 They are added too a triple strand fine gold plated connector and finished with 14kt gold filled one inch extension chain and 14kt gold filled lobster clasp. 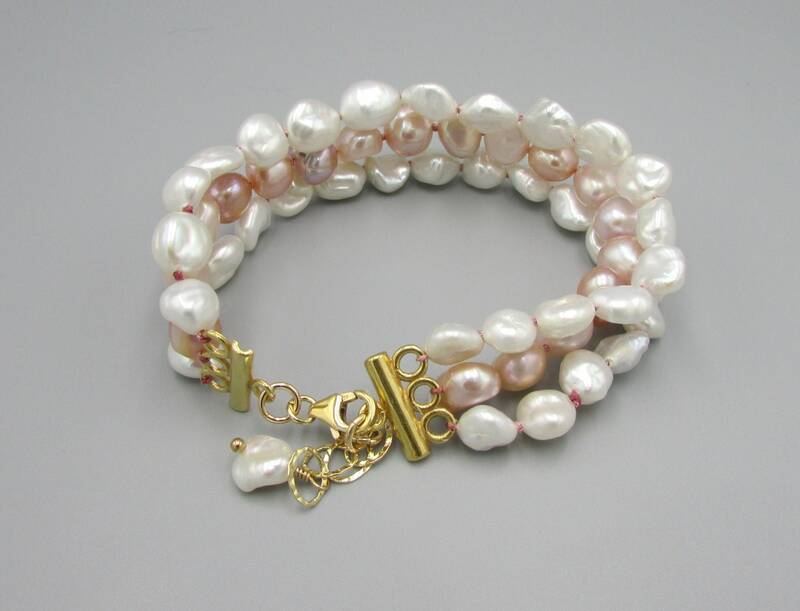 Added too the extension is a single white pearl wire wrapped on a 14kt gold filled ball head pin. 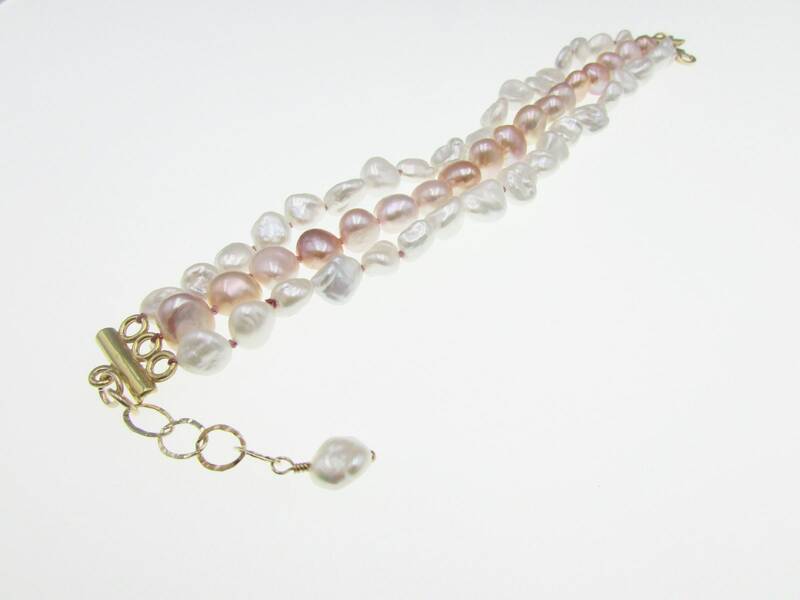 Length is 8 inches with one inch extension chain.